AvengersCraft would like to advise that all payments that are made through Donating mean that you are donating to us and with your own will! This means once you donate you cannot claim your money back if you want it later down the line. Please take time and care when choosing to donate. To donate you must understand and agree the following terms of service agreement. I. We reserve the right to change, with or without notice, any pricing, benefits, rewards, contact, etc. of any ranks or services. The rank benefits may change at any time, but we will notify you however. II. You agree to indemnify the owner, staff, hosts, officers, directors, partners, and all other parties related to the server staff. By agreeing to these terms, you agree not to present any lawsuit or other legal challenge against the server staff, whether related to your purchase or not. III. You understand and agree that the use of this website, server, or any other content is made available and provided to you at your own risk. We disclaim all warranties of any kind, expressed or implied, including but not limited to warranties of merchantability, fitness for a purpose, and non-infringement. You use all information and services at your own risk without our liability of any kind. IV. You understand and agree that we shall not be liable for any direct, indirect, incidental, special, exemplary, accidental, or consequential damages resulting from the use or inability of any services, unauthorized action to or alteration of your data, statements or conduct of any third party on the service, or any other matter relating to the server or the service. V. We reserve the rights to forcibly make you leave the server, permanently or otherwise, with no refund. VI. PayPal terms and conditions must be followed as well as ours. VII. By accepting the terms of this document, you waive your right to take any action, legal or otherwise, against anyone or anything related to the server, website, staff and administration, members, or any other services relating to this server. You also acknowledge that if any part of this document is found to be invalid or unenforceable in any way, any parts found to be invalid or unenforceable will be considered fully valid and legally binding. VIII. All terms and conditions are in effect indefinitely as soon as the contract is accepted, and will remain active even after you quit, or are banned, removed, or leave the server, website, or other services in any way. Log in to use the ShoutBox. Avocado What version of MC is this server running on? © 2014 AvengersCraft, All rights reserved. 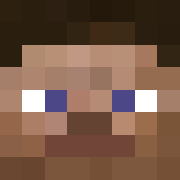 Minecraft is copyright (Mojang AB) and is not affiliated with this site.